Originally opened in ’79 Half Note Jazz Club is Athen’s music temple, a vibrant meeting point for jazz aficionados from across the Greek islands. A solid music season from October throughout May makes the venue one of the most spectacular in the whole Mediterranean Sea. Half Note is the place where the jazz culture encounters the magical ancient Greek tradition, an explosive combination that makes the club the most popular place to go among locals and one of the well-remembered by tourists. 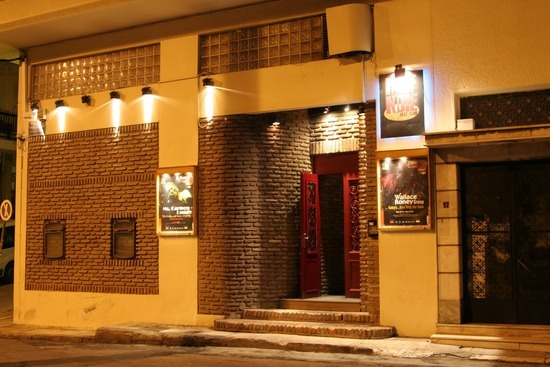 The Half Note Jazz Club is one of Athens oldest jazz venues, with a history full of success and sell-out performances. Originally opened in 1979 by Nickos Sachpasidis in a basement of Michalakopoulou, Half Note has emerged as one of Greece’ s leading music halls. The club, which has been run in the early ’80s by Dimitri Deiktaki and then in 1995 by the brothers George and Panagiotis Georgas in collaboration with Deiktaki, is currently located at the 17 of Trivonianou in the heart of the Greek capital. The music season starts in October, presenting 250 concerts with more than 30 different bands from around the world, until May. While jazz is a regular genre – big names of the international jazz scene like Benny Wallace, Archie Shepp, Benny Golson and Lou Donaldson have performed at Half Note during the years – is not the only one: blues, world music, latin, soul and funk animate the nights at the club. What has made Half Note a landmark in the Athenian evenings for more than 30 years has been the emphasis on quality, combined with the music season which present a different gig every single night. The audience has the opportunity to come in direct contact with prominent foreign musicians who can present their compositions in a place with an excellent acoustic, with a warm and welcoming atmosphere that unite the public and artists as a big family. In Greece, the land of the myths and gods, there is Half Note Jazz Club, a music venue presenting jazz, blues, funk and other concerts from international artists. The customer service, interior design and friendly environment, combined with top-class live shows, will make even Apollo, the god of music, envious! How are you? My name is Li’nard. I am a bass player that played at the Half Note with Moe Holmes. We all had a great time there, and out of the many places that I have played in Greece, your place is truly one of the best. I have a band in New York that plays in the Village that Moe Holmes, Milo Z, and Many other great musicians play at. I have a high energy band that plays Blues, Jazz, Funk, R&B, Reggae, House Music, Blues, and More FUNK. I would love this positive energy with the people there at the Half Note and Athens. Here is a video of what I would like to bring to the Half Note and bring some fun, joy and laughter to a city that I love, Athens.